Click on the Link, “Senior Resources” for helpful tips and articles to help seniors stay healthy, secure, and happy in this exciting era of their lives. The Mesothelioma Cancer Alliance provides clear and concise information for those who are currently experience symptoms or, have been diagnosed with, or have loved ones suffering from mesothelioma. We can help those suffering from an asbestos related disease find resources, top doctors, and legal assistance. Over $30 billion dollars is available for the victims of mesothelioma cancer. Our site provides financial assistance for patients and their families to help them offset the cost of cancer treatment. Financial support is available to help pay for travel, lodging, and diagnostic testing. Asbestos trust funds were created by corporations that knowingly exposed their workers to dangerous asbestos fibers. 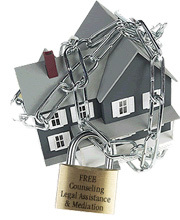 Bankruptcies and trusts were established to provide compensation to victims and their families. By clicking on the above-listed icon (which is a link to the Mesothelioma website), viewers have 24/7 access to the chat option as well as other useful information. Mesothelioma is almost always associated with exposure to asbestos. It is known to linger inside the body for decades before the first symptoms of the disease appear. Today, an estimated 1.3 million people are exposed daily to asbestos, leading to an increased risk of mesothelioma cancer. Our goal is to spread awareness about the dangers of asbestos exposure as well as match those suffering from asbestos related diseases with the top doctors and treatment centers. Mesothelioma cancer often claims victims who are older because of the long latency period that mesothelioma has, which is 20-50 years. This cancer affects the lining of the lungs or stomach and affects up to 3,500 people per year. We are a site reaching out to the community to provide up-to-date support, information, and education to mesothelioma patients and family members. For over 20 years we’ve been helping families like yours connect with leading mesothelioma lawyers in their area. There are many law firms that handle mesothelioma cases, and your choices may seem overwhelming. We clear through the confusion and help you locate only the top lawyers. Click on icon for website. Our growing collection of expert resources is designed to educate and empower both individuals and communities. We strive to be more than health manuals and 101s. We are equally interested in what the professionals in public health have to say. Our guides reflect the latest research and advice from pioneers in the industry. The Master of Public Health (MPH) is a graduate degree that prepares you to work on a wide range of public health initiatives; policy advocacy, health education, institutional administration, treatment delivery, and disease prevention are just some of the areas commonly explored in an MPH curriculum. Graduate students focus their studies in public health by choosing specializations. Joint programs are particularly popular at this level, with most graduates pursuing dual degrees in either clinical practice or social policy. 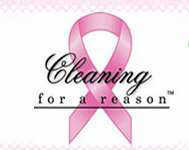 Services include free pap screening and breast exams. Mammography clinics are held 8 times a year and free mammography is available to uninsured women. 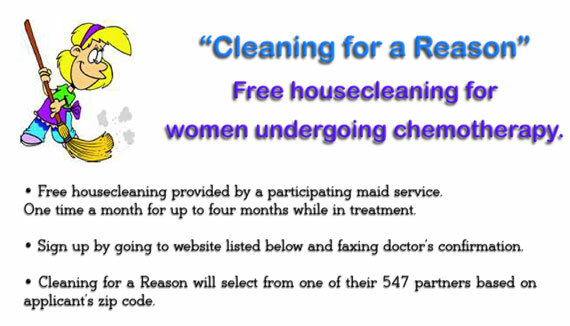 Referrals are made for women in need of diagnostic evaluation. The Affordable Housing Alliance is a private, nonprofit 501(c)3 corporation in NJ. The Alliance has been serving residents of NJ for over 22 years. In addition to providing affordable housing, the Alliance manages several Utility Assistance Programs. We help individuals and families who are seeking relief in paying their gas, electric, and oil bills, assisting clients through the entire the application process, from program selection through the final grant award. Payment Assistance for Gas and Electric (PAGE). The PAGE energy assistance program benefits homeowners and renters who are NJ residents; have not have received USF in the past six months or HEA within the last heating season, facing a crisis situation that includes a documented notice of overdue payment for gas and/or electric service, and have a past history of making regular payments towards their utility bills. The TRUE energy assistance program benefits homeowners and renters who are NJ residents; have not have received USF/HEA in past 12 months, facing a crisis situation that includes a documented notice of overdue payment for gas and/or electric service, and have a past history of making regular payments towards their utility bills. AHA administers Low Income Home Energy Assistance Program (LIHEAP) which assists low income households, particularly those with the lowest incomes that pay a high portion of household income for home energy, primarily in meeting their one-time or monthly home energy needs, depending on household eligibility. The program provides grants in the winter so that such households can pay their heating bills and continue using heating equipment. The amount of benefits will depend on number of people in household, geographical location, and gross income of the household. Applications for LIHEAP in New Jersey are accepted between October 1 and April 30. Click here for volunteer opportunities in the Neptune area. • You must be at least 61 years and 9 months old to apply for retirement benefits. benefits to start. • If you are already age 62, you may be able to start your benefits in the month you apply. up for Medicare four months before your 65th birthday. Your Social Security Statement Online!!! Get it Now! To get your Statement online, you must first create a my Social Security account with us. Once you have an account, you can view your Social Security Statement at any time. What should I do to create a my Social Security account? To create an account, you must provide some personal information about yourself and give us answers to some questions that only you are likely to know. Next you create a username and password that you will use to access your online account. This process protects you and keeps your personal Social Security information private. Several of our existing online services will soon be available using an online my Social Security account. If you receive benefits, you will be able to get your benefit verification letter, check your benefits, change your address, and start or change your direct deposit. Link to register for “Your Social Security Statement Online!! !” Get Now. This Social Security Statement can help you plan for your financial future. It provides estimates of your Social Security benefits under current law and updates your latest reported earnings. Please read this Statement carefully. If you see a mistake, please let us know. That’s important because your benefits will be based on our record of your lifetime earnings. We recommend you keep a copy of your Statement with your financial records. Super storm known as Sandy has devastated many New Jersey communities and wreaked havoc in people’s lives all along the East Coast. More than 50 million Americans are coping with the aftermath of the storm. The damage and destruction from coastal surges, power outages, and high winds have resulted in disruptions to school and work schedules, property destruction, and serious financial consequences. No one who lives through a disaster is untouched by the experience. Like other disasters, severe storms and flooding can result in emotional distress, as well as property damage. Disasters can threaten our sense of control and safety, and can affect many aspects of our lives. The emotional trauma caused by the storm and anxiety about what will happen next can complicate and impede recovery. While protecting people and restoring safety, power, and property, is a priority in the wake of natural disasters, emotional coping also matters. The New Jersey Department of Human Services’ Division of Mental Health and Addiction Services - Disaster and Terrorism Branch, is coordinating statewide efforts to help individuals and communities manage the emotional impact of the storm. Disaster Mental Health Teams are currently providing support in many shelters around the state and are mobilizing to assist and FEMA Disaster Recovery Centers over the coming days, weeks and months as needed. In addition to providing face-to-face disaster crisis counseling, the Disaster and Terrorism Branch provides informational materials about coping, and partners with the Mental Health Association in New Jersey to offer assistance through a toll free Disaster Mental Health Helpline: (877) 294-HELP (4357). A TTY line is available for the deaf and hearing impaired at (877) 294-4356. It is important to remember that there is no one correct way to react emotionally to storms and floods. Not everyone reacts the same way, and in fact, you may react in a variety of different ways even in the course of the same day. Each person gets through the emotional challenges of a disaster in their own time and on their own terms. To help you manage the emotions associated with the storm and flood, you should use the coping mechanisms that are familiar and comfortable for you. Other ideas for coping are suggested below and can be discussed with counselors and other caregivers. If you or someone that you know is having an acute emotional reaction that does not subside over the period of a few days, it may be best to seek the assistance of a medical or mental health professional. For people returning home from a disaster-affected area, it is not uncommon to experience difficulty in “decompressing” and reintegrating back into the home and workplace. The best source of assistance in dealing with the emotional consequences of a disaster is often found in each other. If you are anxious about your experience, talk to someone you love or trust. This may be a family member, friend, clergy member or teacher. Just don’t keep your thoughts and feelings to yourself. If you notice that a loved one, friend or co-worker’s behavior has substantially changed, reach out and ask them how they are doing. Make some time to talk, when it is convenient for both of you, and follow up later on to see how they are doing. Watching out for each other demonstrates that you care and it can be comforting to both of you. Providence Medical Clinic is a free medical treatment provider and a registered 501(c)(3) nonprofit agency. Its Free Medical Services Program provides free health care and medical treatment by a volunteer staff of 30 medical professionals to uninsured and underserved residents of Monmouth County. The Clinic, in operation since 1998, provides, without charge, primary health care including the treatment of acute illnesses, wellness care, mammograms, pre-shool and pre-employment physicals, pap smears, and an indigent prescription drug program. Para información en español, haga click aquí ! MonmouthCares, Inc. is a private, non-profit community based organization serving children primarily between the ages of 4-18 with behavioral and emotional challenges along with their families. It has come to the New Jersey Public Adocate’s attention that some tenants are being inappropriately forced out of their homes when the building in which they are living has been foreclosed. Under NJ law, most tenants have the right to remain in their homes during and after a foreclosure. 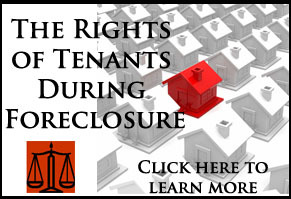 Clicking on the icon will take you to the webpage where you can access the “Tenants’ Rights During Foreclosure” link. If you know of a tenant in a foreclosed property who requires assistance, please have them contact the Department of the Public Advocate, Office of Citizen Relations at 609-826-5070. Source: Laurie Facciarossa Brewer, Director of Communications, NJ Department of the Public Advocate, 609-826-5054. Assisting Spanish and Portuguese speaking residents with translation, mediation and advocacy. Women’s Referral Central is the primary source for information about programs of interest to, or meet the needs of women in New Jersey. The Women’s Referral Central maintains a database of over 12,000 federal, state, county, and locally funded services which assist women in areas as diverse as civil rights and sexual harassment, child support and custody, consumer law and safety, to personal growth and development, education, business development, medical referrals, homelessness, personal safety and domestic violence. Family Health Line makes referrals to over 1300 nutrition and nutritional education programs, maternal child health and immunization programs, pediatric primary care projects, perinatal addiction programs, family planning and reproductive health programs, cardiovascular fitness programs, specialized pharmaceutical programs for Cystic Fibrosis and Breast and Cervical Cancer Screening Programs. The Family Health Line is an easy way for pregnant women, nursing mothers, or women with children under the age of five to enroll in the Women Infants Children (WIC) Program. Also provides diverse services and training to the business community.